1. Five (5) years warranty on hood's motor(s); One (1) year warranty on other hood's parts. 2. 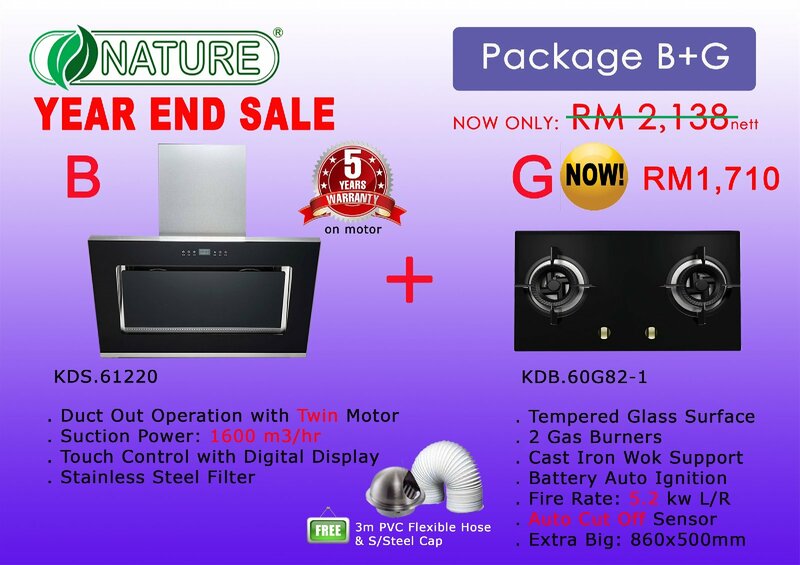 One (1) year warranty for overall hob's parts.
.* The Price Stated is GST Inclusive.